Midfielder has gentleman’s agreement that Emirates Stadium is set to trigger. Arsenal will look to sign Southampton midfielder Morgan Schneiderlin before the transfer window slams shut on Monday evening having agreed to meet the player’s £27m price-tag. 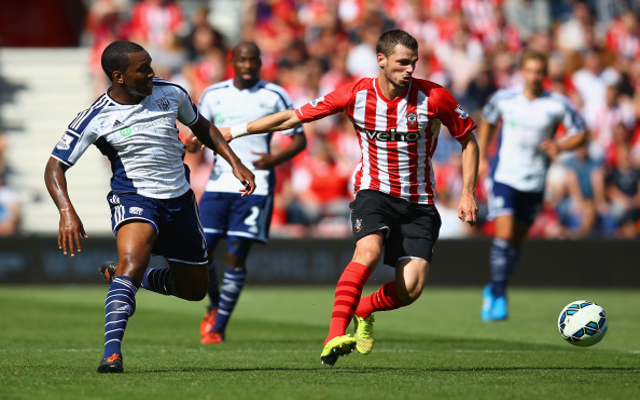 The south-coast side have stood firm on their commitment to now allow any more of their top talents to leave this summer after seeing a host of players leave over the summer, however it is believed that Schneiderlin had come to an agreement that should an offer come in that meets the Saint’s valuation then they would allow him to leave. The 24 year old has given the St Mary’s side six years solid service, helping Southampton from League One to the upper echelons of the Premier League, and is now looking to make a move to a side that can offer him Champions League action, which was achieved by Arsenal in midweek with their narrow win over Bestikas. Wenger is looking to strengthen his midfield options and sees Schneiderlin as a long term replacement for veteran skipper Mikel Arteta and a player who better suits a defensively minded midfield role at the heart of the Arsenal side. Schneiderlin had an excellent campaign last term and his form led to a spot in Didier Deschamps’ 2014 World Cup final squad and he feels that a high-profile move is key to his career progression and having seen the likes of Luke Shaw, Calum Chambers, Adam Lallana, Dejan Lovren and Rickie Lambert completed similar switches to Man United, Arsenal and Liverpool the Strasbourg born battler is determined to do likewise. Arsenal could also look to offer a player to Southampton as part of a deal with the likes of Ryo Miyaichi, Serge Gnabry and Joel Campbell being those who could be sent to the club on loan deals. Wenger wants the deal done by the time the transfer window closes and will look to push through personal terms swiftly once Southampton accept their offer.